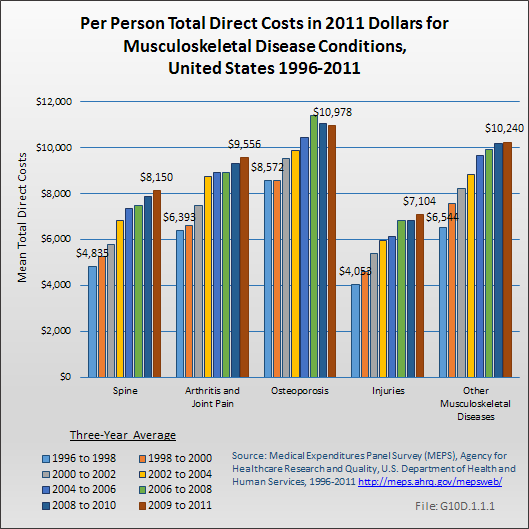 Per-person average expenditures for prescriptions had the largest increase among all components of musculoskeletal diseases, ranging from an increase of 102% for osteoporosis to an increase of 208% for injuries. 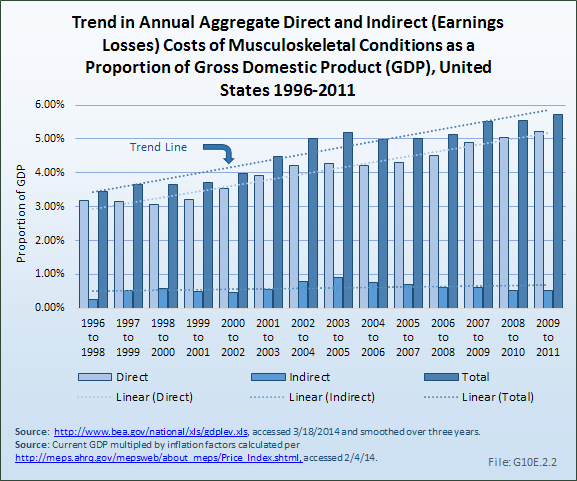 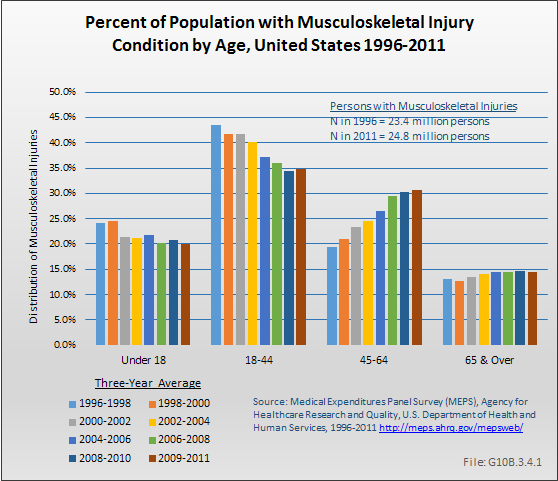 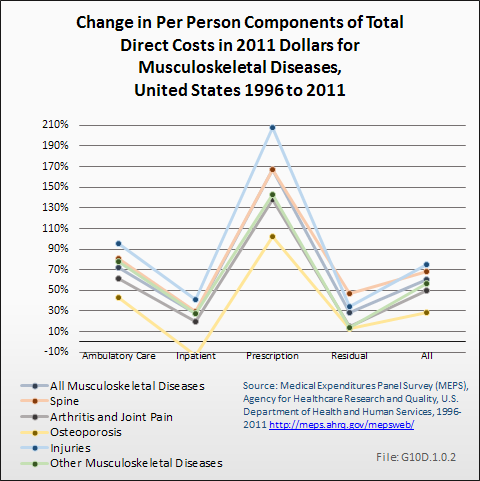 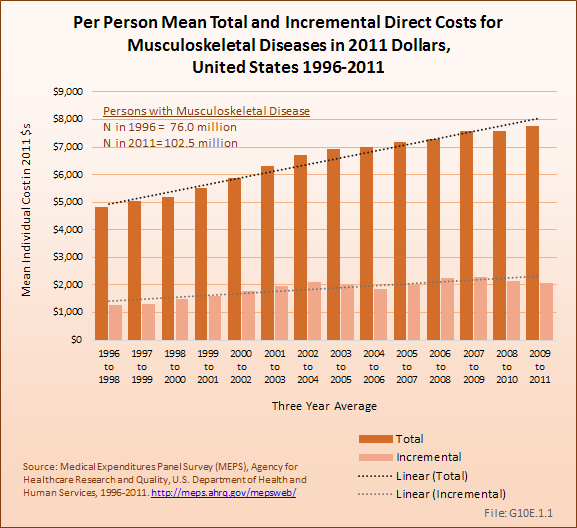 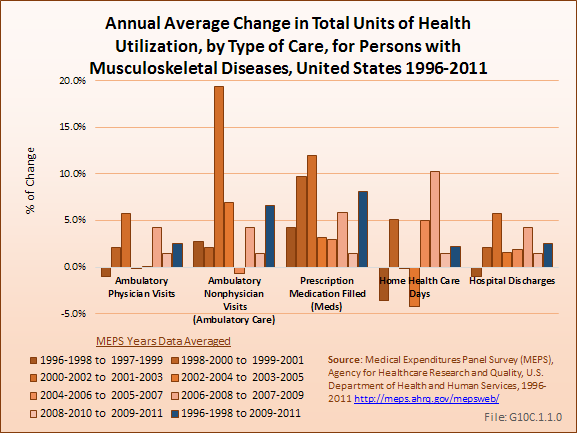 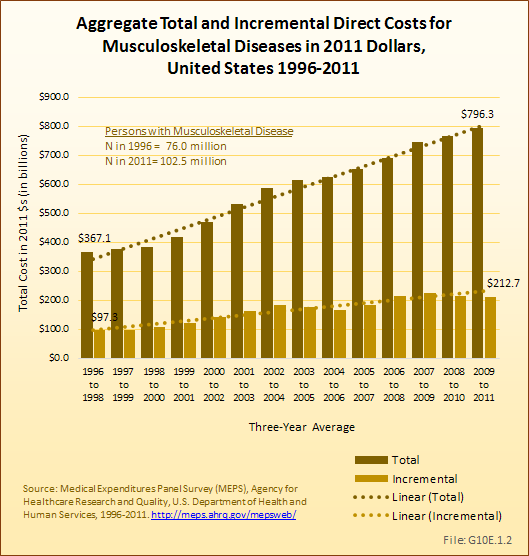 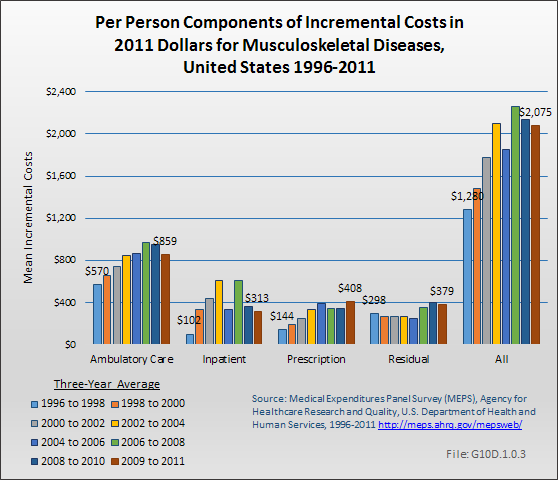 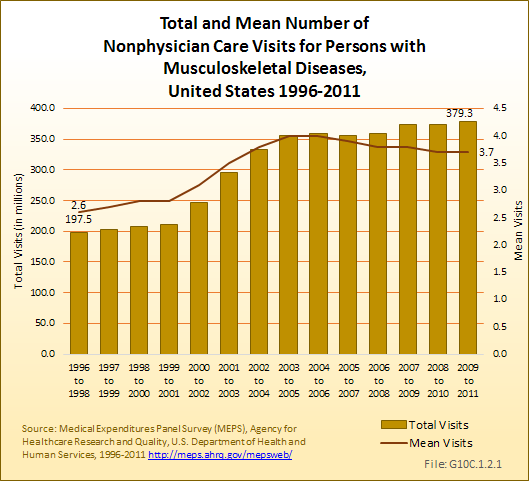 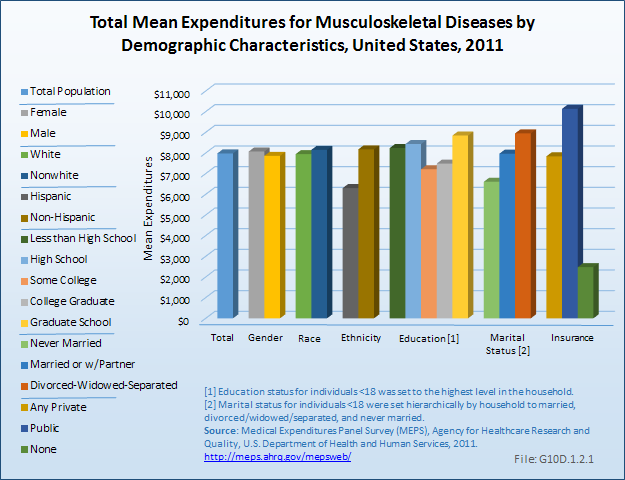 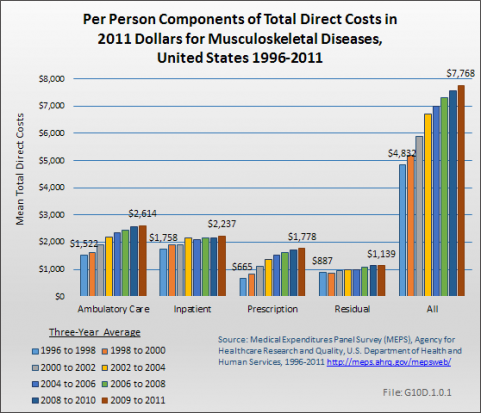 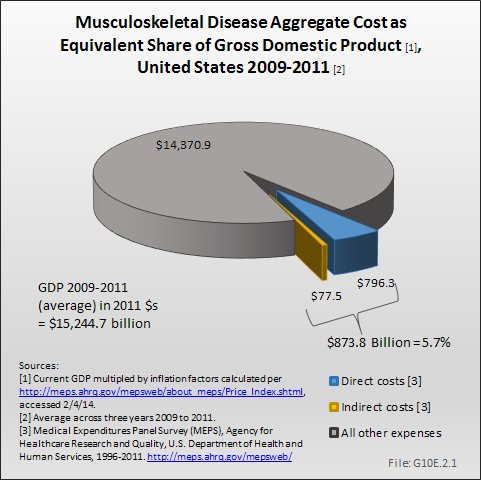 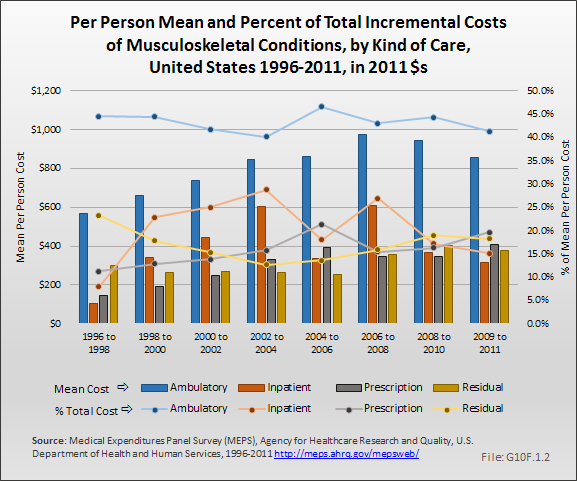 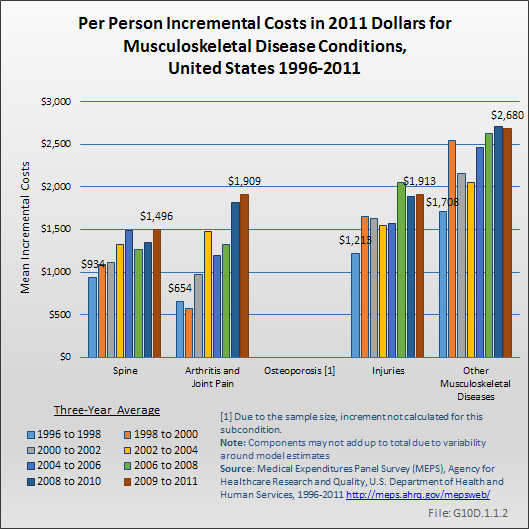 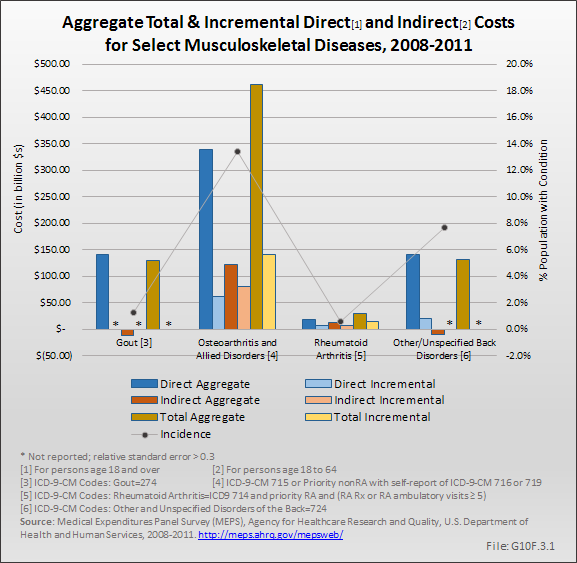 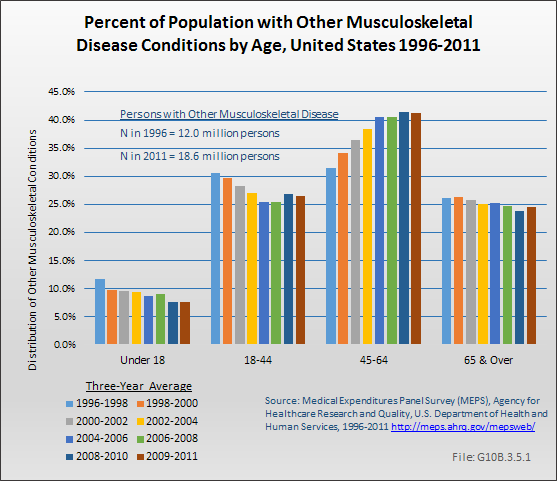 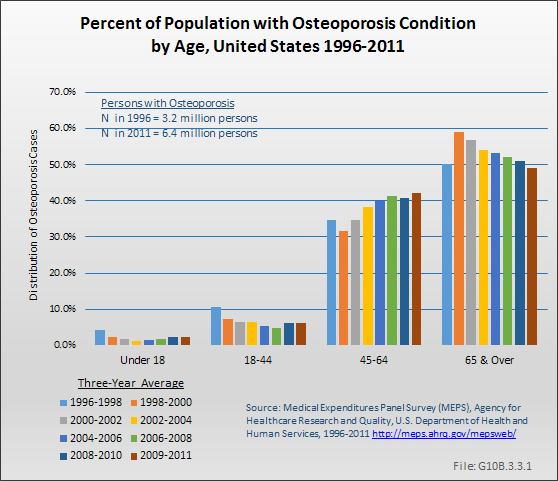 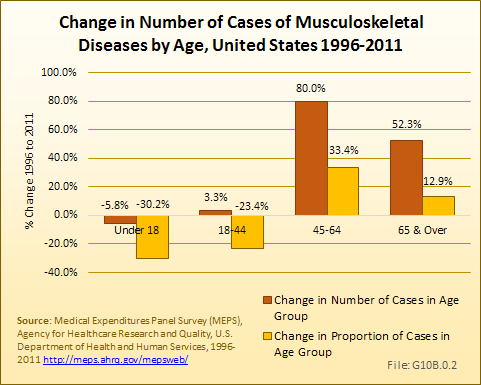 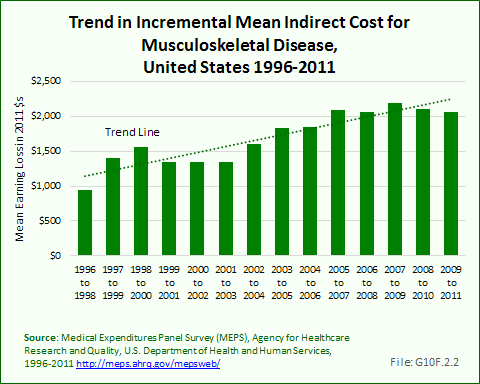 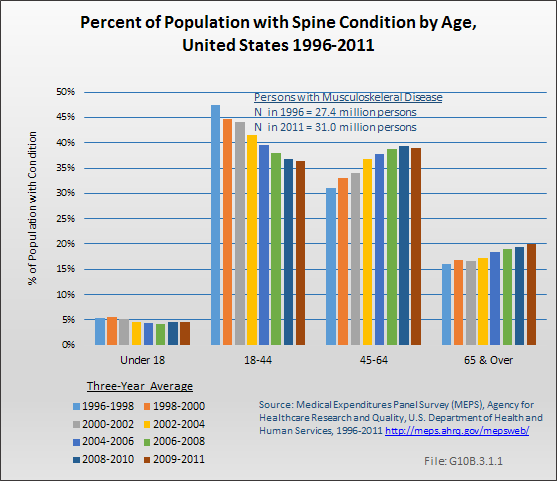 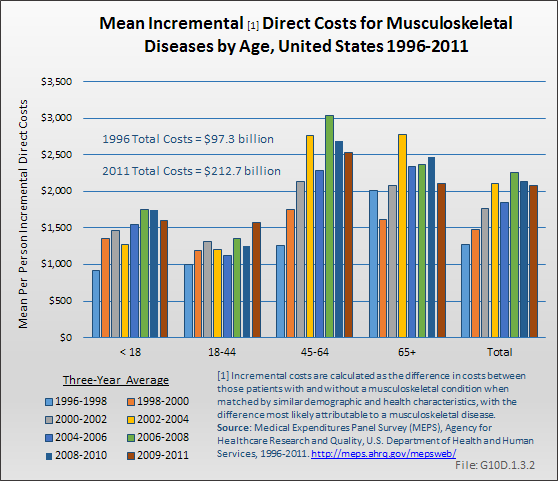 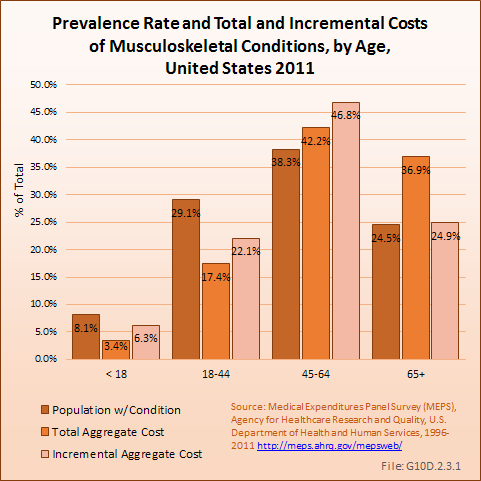 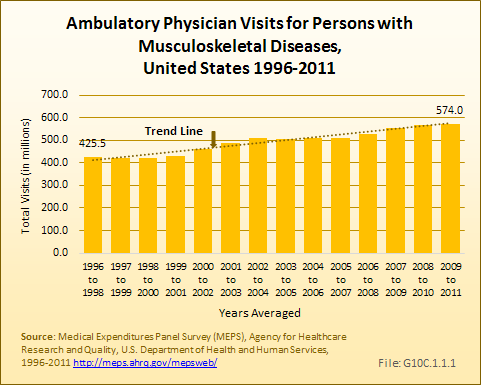 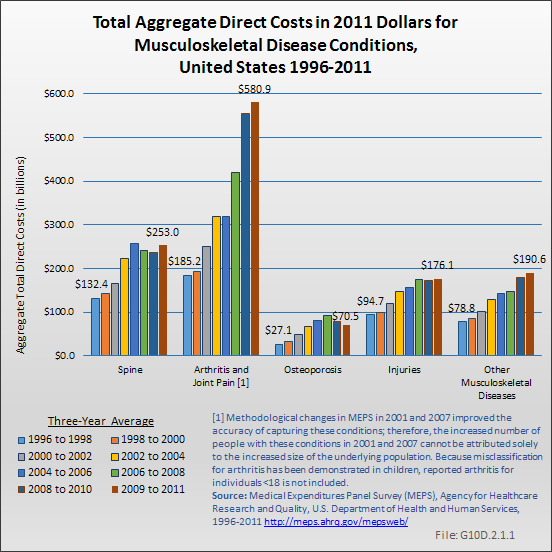 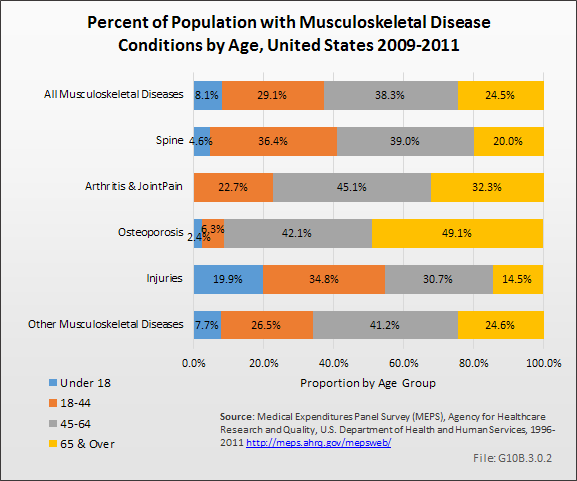 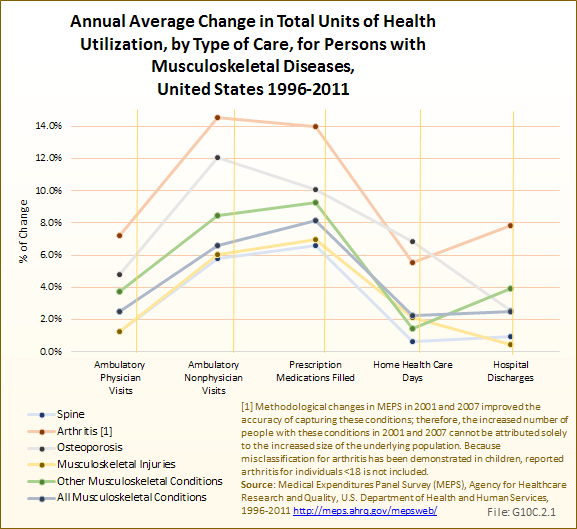 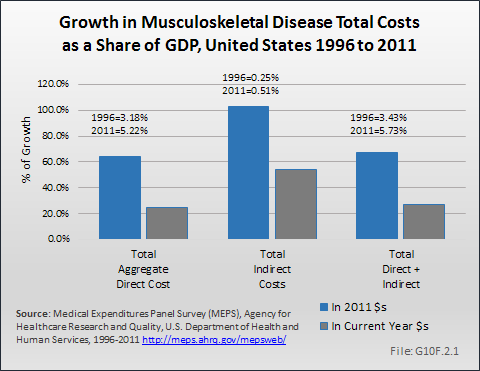 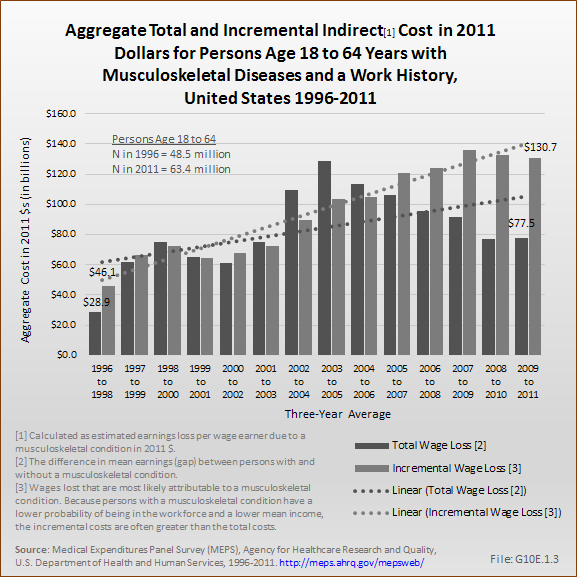 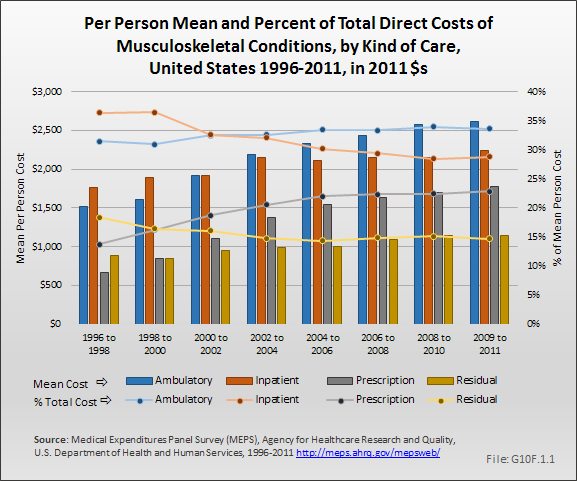 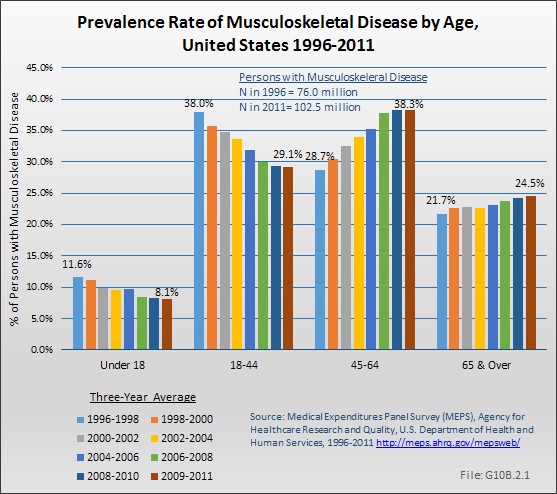 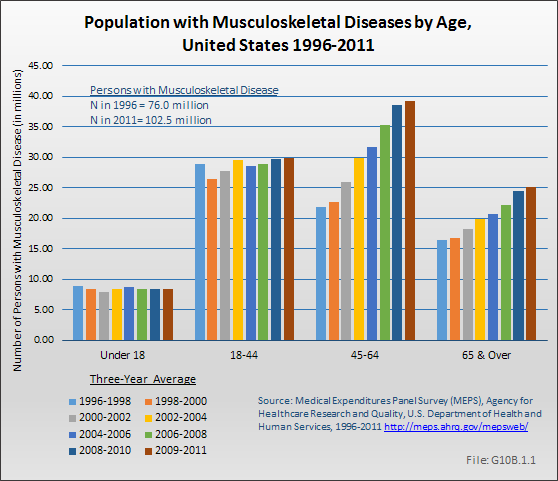 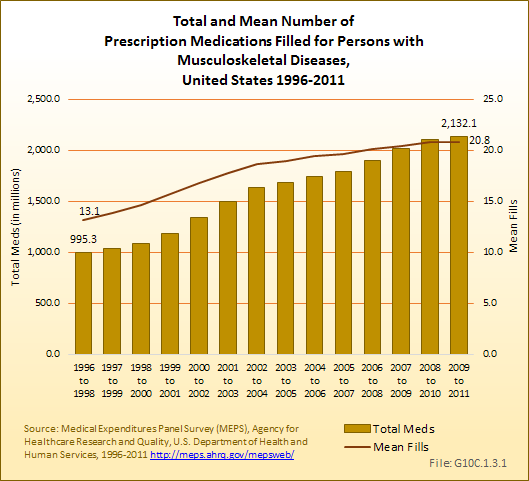 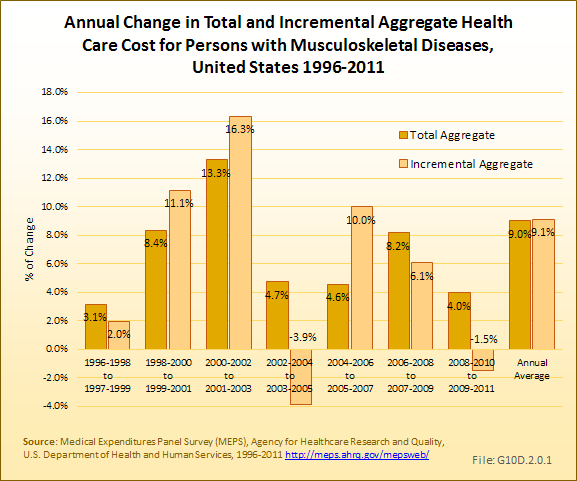 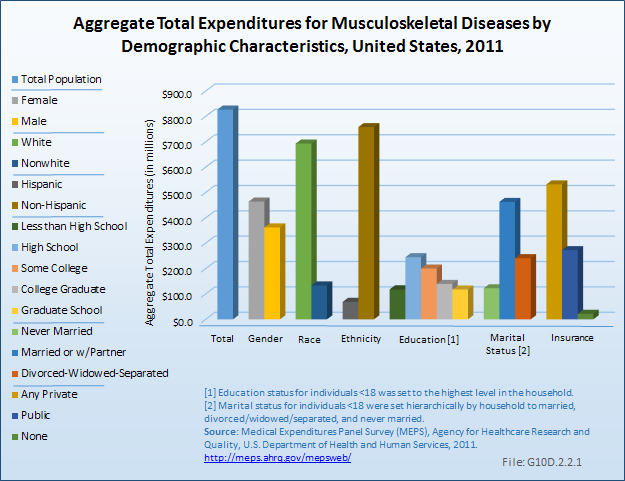 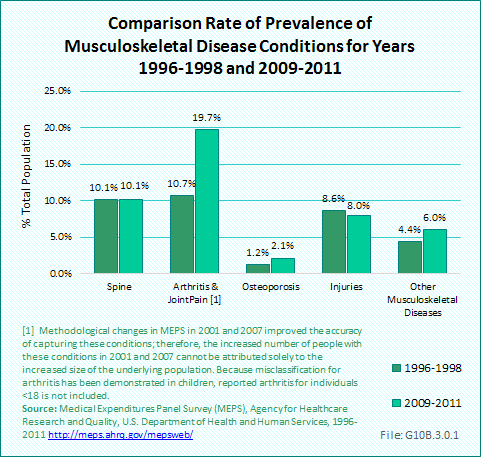 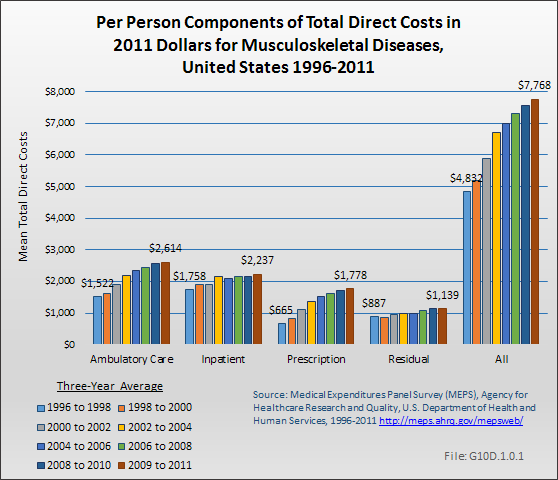 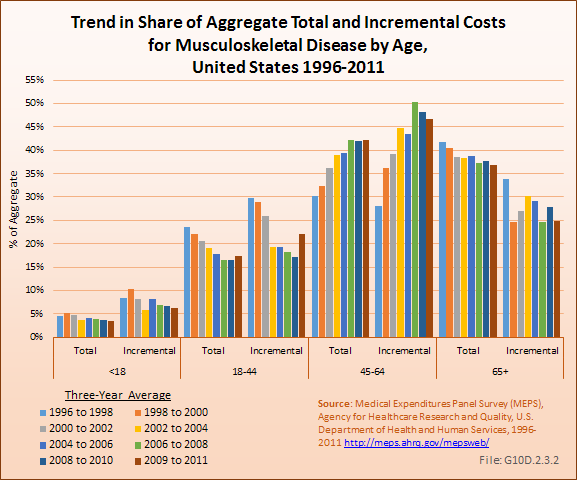 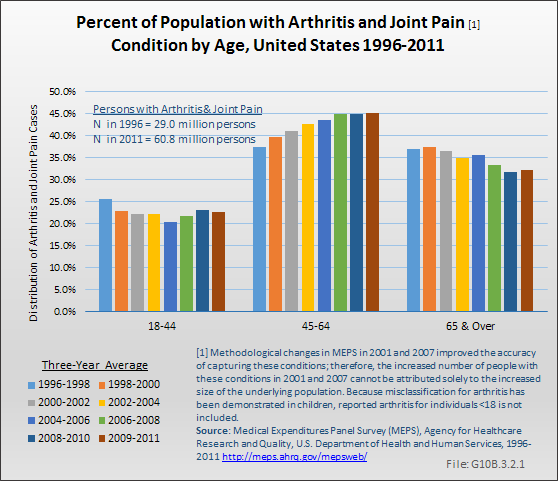 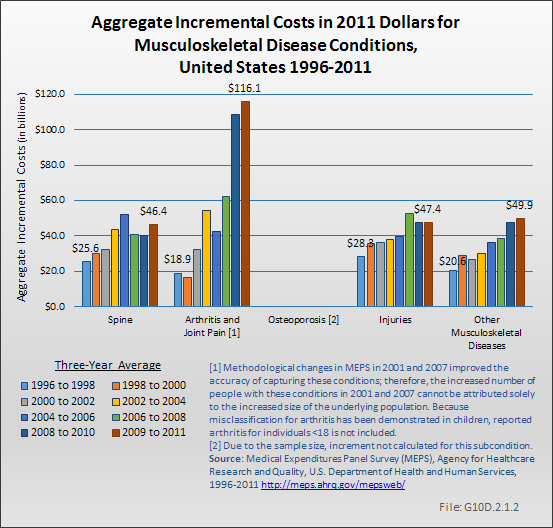 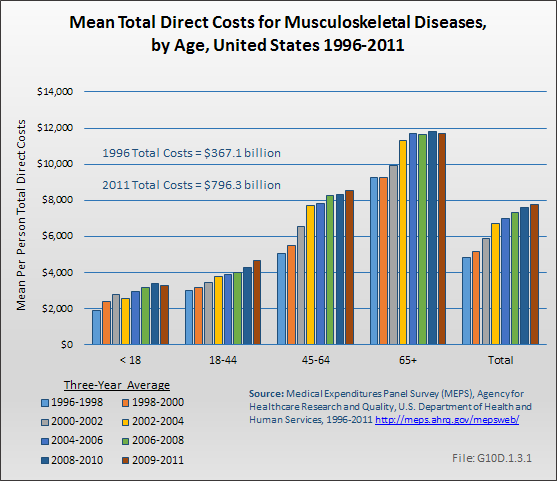 Overall, prescription per person costs rose by 167% for all musculoskeletal diseases. 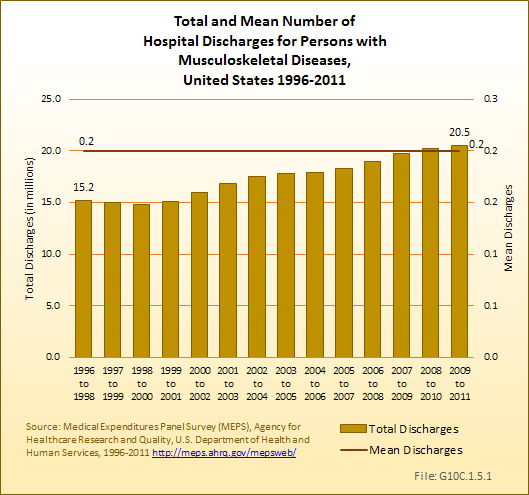 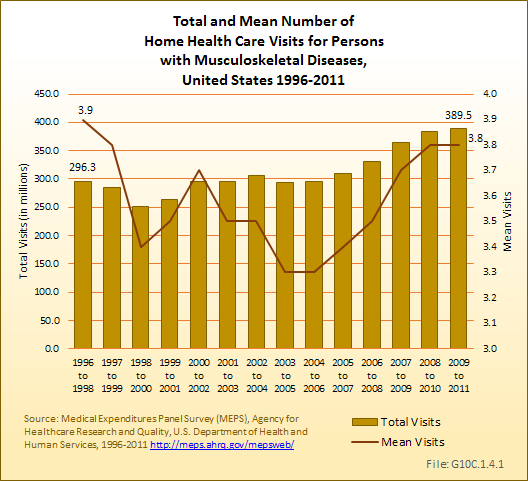 Inpatient and residual costs showed the lowest increase between 1996 and 2011.